Keeping your cat healthy can help them live a longer, healthier life, and there are several things you should consider to keep your cat healthy. While cat insurance can help you provide the best veterinary care for your cat, Al Townshend, DVM, of Wellpet, offers several tips to keep your cat healthy at home. First, focus on your cat’s nutrition. 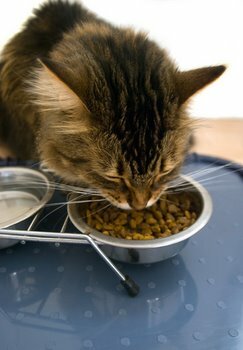 It is important that your cat eats a quality cat food that includes ingredients like probiotics and Omega fatty acids. These ingredients will give your cat a shiny coat and increased energy. You should also ensure that your cat is adequately exercised. Feline obesity is one of the top pet health concerns when it comes to cats. Obesity can lead to diabetes, hip and joint problems, and heart issues. Many people don’t realize that cats need to be socialized. Your cat should be socialized from the time they are a kitten. Socialize your kitten as much as possible—pick him up, hold him, pet him, and introduce him to new people. Socialization will allow your cat to be a part of the family. It is important to ensure that your cat is in a safe environment. Avoid using chemicals around your cat because they are more sensitive to the ingredients found in these types of products. Air fresheners and cleaners can also lead to asthma. Keeping your cat’s environment as safe as possible can help eliminate unnecessary pet illnesses and injuries.